The first season is over. The second season round will be scratchy whacking local birds. Expect to do a lot of road work. Now on to Duck season! The only White Wing Doves we could get close enough to take a photo. Cibola NWR. First day of scouting. Hitting the secret spot for a hour and then back on the gravel. Second day of scouting. Hitting the secret spot again for a hour and then back on the gravel. Doing our part eradicating this delicious pestilent invasive species. We definitely put the hurt to them. Whack em and stack em! Habits White Winged Doves leave the roost at least a hour or more after shoot time for food plots and water. 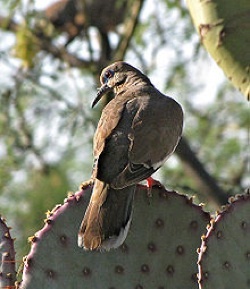 Will mix with Mourning Doves when feeding and prefers skeleton trees and cactus when roosting deep in the desert. Rain or cooler weather (6 degrees) will send them south overnight. Typical big migration south is late afternoon to evening. A slower flyer than a Mourning dove. Prefers Milo and Sesame to Wheat. 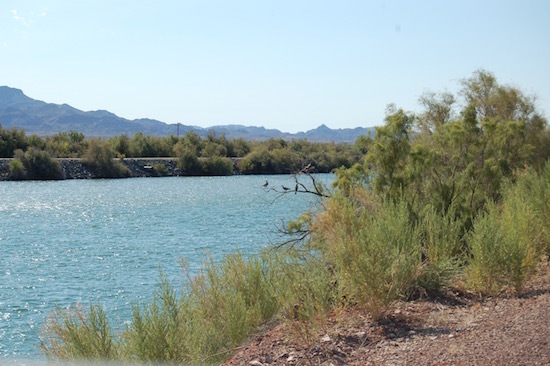 Where to Hunt in SoCal The main migration is the along the Colorado River. (Best). Needles to the Mexican border and all the way over to Wellton Arizona east of Yuma, North of the 8 freeway up against the mesa's north of town. Also a considerable amount can be found from Niland (Imperial Valley) to the All American canal along the Highline Canal(Ok to Good). White Winged Doves are a fringe bird. Always roosting in the desert near a good source of food and water and is always moving south. So if no birds are found keep moving until many birds are found. Habits Mourning Doves leave the roost at first light and earlier. Flies straight for water and food. Mourning doves roost in Cottonwood, Mesquite, Palo Verde, orange, lemon, and just about any skeleton tree. Does not like Salt Cedar unless it's a dead skeleton and will roost directly in the agriculture zone. 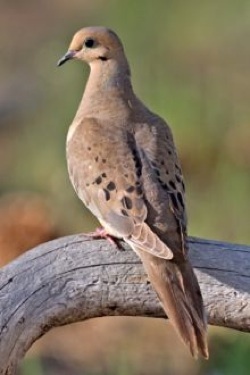 Mourning Doves will shade under trees and bushes in the sandy desert fringe in the afternoon. Also they don't mass migrate until Mid October to warmer southern zones. A fast flyer. Mourning Doves do not group up until later in the season when colder weather appears. Loves all the seed crops including alfalfa. Where to Hunt in SoCal Mourning Doves follow 3 rules. They trade between food, water and roost. Their found frequently around plowed or burnt wheat stubble fields. 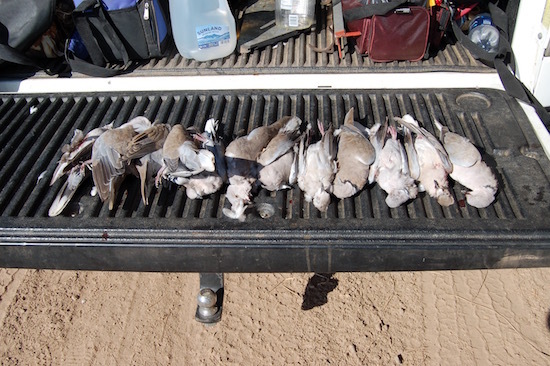 Hunting zone is all the Imperial Valley and Colorado River Valley to the Mexican border. 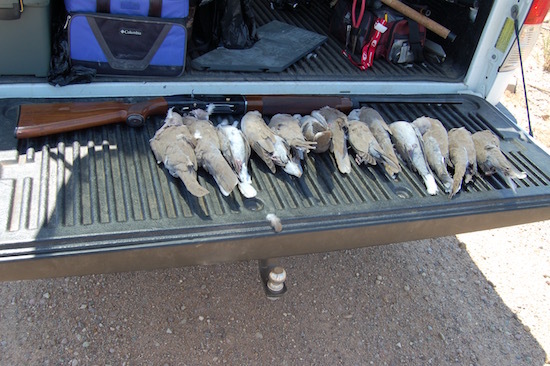 They are the most prevalent Dove in Southern California. The key is the Roost. They roost very near food and water. So find the roost and you can find where the mourning doves are drinking and eating. Some times they will roost in Arizona and fly across the Colorado River to eat and drink in California. You should stay on the move until birds are found. Trust me..... You will find them! 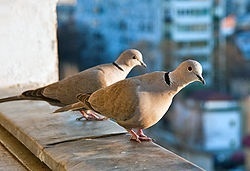 Mourning doves are not pressure sensitive, so they can be shot for days or weeks before they move out. When you see doves trading. Stop and observe them for at least 15-20 minutes. If the trading remains consistent for a period of time it's likely your very close to a sweet spot. Get out the binoculars and see where their trading to and from. 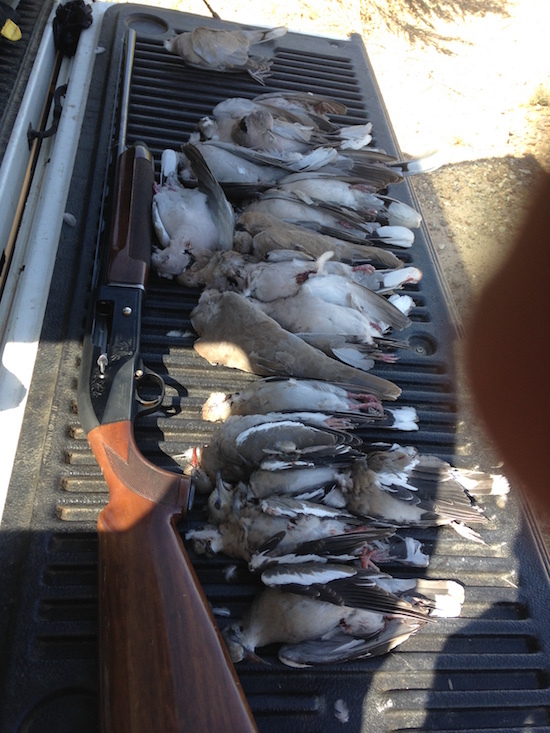 A lot of hunters get edgy when a few doves fly by while driving down a road and yell out "There's some!" Remember... Doves are everywhere you drive. But don't settle in because you saw 8 birds go by. More than likely you will get set up in the cover and only see 2 more birds fly by after a hour in 100+ degree heat and that's time wasted not looking for the honey hole. Believe me! you will know it when you find that honey hole. They always end up yelling "Oh My God....look at all the birds!!!" The 3 dove hunter rules are: Drive, Observe, Drive. If you end up driving all day and not locate the big flight of Mourning Doves well... It wasn't for the lack of looking. There is still 14 more days to hunt doves. Habits Just like a pigeon. Eurasians roost near dwellings and ranches. Feeds at grain holding areas and processors. Where to Hunt in SoCal Get permission to blast away at and around farm houses and out buildings. Mexico is just full of these birds. We would bait them for a couple weeks and blast a big pile of them. Big breast meat like a pigeon and are always roosting on power lines...But don't shoot them on the wires. PLEASE! No limit.